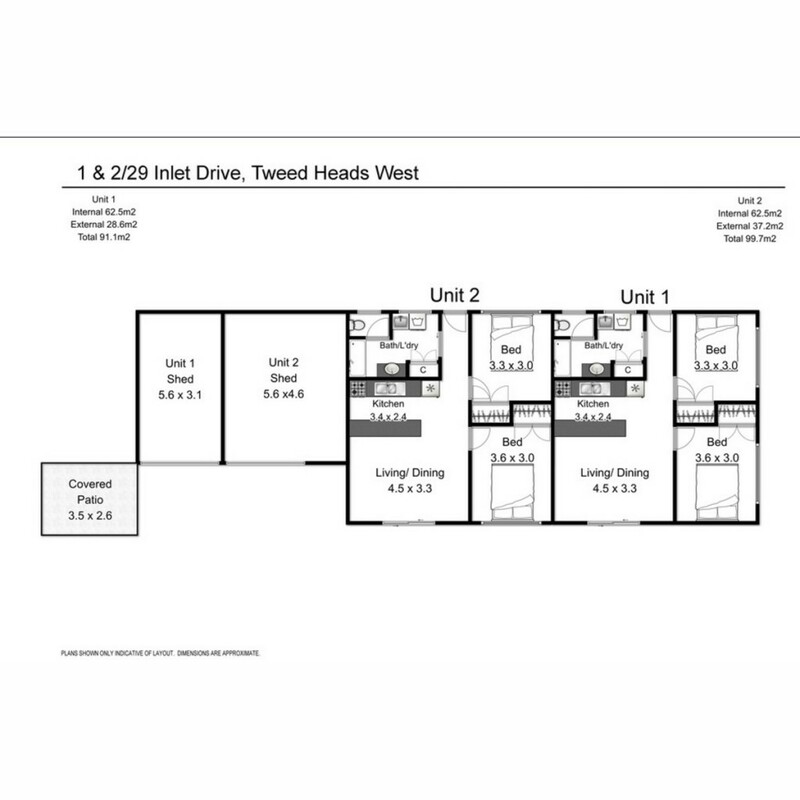 Now selling as individual units, this is the perfect investment or first home buyer opportunity. Offering tiled, open plan living space with ceiling fans throughout and glass sliding doors to the front entry. Modest kitchen with electric cooking and ample bench space overlooking the living area. Two good size bedrooms easily accommodate queen size bed with built-in robes. Combined bathroom and laundry with glass encased shower, separate WC and good size linen storage. Private grassed yard great for entertaining with clothesline. Single garage located at the rear of the property and additional off-street parking space; or grassed area for children or pets to play. This is a fantastic opportunity for family investment with both units tenanted long term. Just a short stroll to local shops and public transport taking you only minutes to the heart of Coolangatta and Tweed Heads. Seagulls Club is within walking distance and boasts health clubs, kids clubs and restaurants making this home the perfect family location.